Initially the project was conceived as an extension of the International Association of Digital Publications’ (IADP) Affordable Access project from South Africa into the SADC region. The Affordable Access project provides free and/or heavily discounted copyrighted electronic textbooks to students at tertiary institutions. It relies on Digital Rights Management systems to protect the interests of the publisher. During the early planning phase the Open Society Initiative for Southern Africa (OSISA) and OER Africa (an initiative of the South African Institute for Distance Education) identified Open Education Resources (OER) as offering potential benefits to the same target group. Consequently, the Digital Resources Project was conceived as an opportunity to pilot both digitally protected materials and also open resources at universities in the SADC Region. 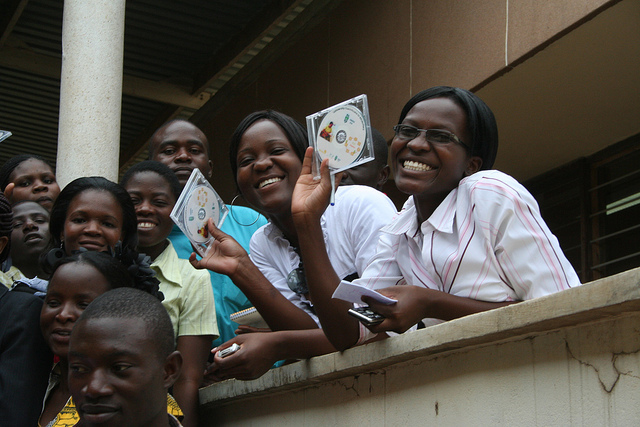 Consequently, the five pilots devised in consultation with staff at the Universities of Malawi and Botswana contained a blend of opportunities to develop systems to support the distribution of e-textbooks and access to and adaptation of OER.